We focus on minimally invasive procedures that provide quicker healing times with less discomfort, and we always look for the most cost-effective and efficient treatments for our patients. Over the years we have successfully treated thousands of patients, giving them back the pain-free use and function of their hands and arms. Learn More. Attend one of our FREE Screenings and improve your quality of life! For many people, the quality of their lives begins with their hands. The doctors at Florida Hand Center can keep those hands healthy. Call us at 941-625-6547 Option 1 or contact us online. The doctors at Florida Hand Center are dedicated to diagnosing and treating patients in one visit. We accept most insurance plans and offer affordable options for patients with limited or no coverage. We are now accepting new patients in our Fort Myers and Port Charlotte offices. Call us at 941-625-6547 Option 1 or contact us online. Dr. Stephen L. Helgemo, Jr. is a highly regarded Board Certified Arm and Hand Surgeon, and a Board Certified Orthopedic Specialist. Dr. Helgemo received his MD from Johns Hopkins University where he also completed an Orthopedic Surgery Residency. He specializes in conditions affecting the arm, wrist and hands. Pain in these regions can be quite debilitating, and his role as a physician and hand surgeon allows him to help his patients gain back the pain-free use of their hands and arms. 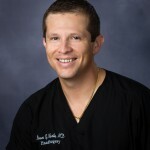 Dr. Ivan G. Olarte, MD is a highly regarded and well respected hand surgeon in our community. He is a Board Certified General Surgeon who received his B.A. from Baylor University, in Texas, where he played NCAA tennis. He received his M.D. from Ponce School of Medicine, and he completed a General Surgery residency at St. John Hospital Medical Center in Detroit, Michigan, where he ascended to Chief Resident. He then went on to receive sub-specialty hand and microsurgery fellowship training at the University of Mississippi. Dr. Helgemo was great and the staff outstanding. The problem since his treatment is already feeling much better and I would be happy to recommend any family member or friend to his care. I am quite satisfied with my experience with the Florida Hand Center. Thank you for your kindness and courtesy. Extremely satisfied with timeliness of appointments and professionalism and courtesy displayed by doctor and staff (office and medical). Amanda was very clear and helpful in my post-op visit. Dr. Helgemo is a great hand surgeon. I have never had any problems after a procedure. Everyone is very friendly and concerned. I felt very comfortable. In an effort to make their patients more comfortable with potential hand treatments, Florida Hand Center staff has spent some time creating surgery videos and testimonials from actual patients. We are now making those surgery videos and the ones showing hand treatments available to everyone as part of our new video page. Visit our video library.